What is an OMR Software? 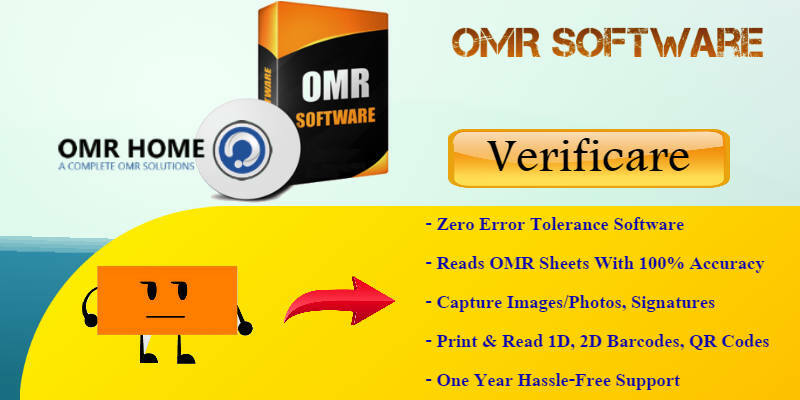 OMR stands for Optical Mark Recognition and the software that is used to read the data from the OMR sheets is known as the OMR software. OMR sheets are special sheets that offer bubbles and the appropriate bubble is marked by an aspirant for differentiating his choice of selection. Once the responses are marked, then an OMR software is deployed to capture the human-marked data from the OMR sheets. The process of checking OMR sheets includes the scanning of OMR sheets from a scanner unit. The user can use any type of scanner that includes the flatbed, MFP (Multi-function printer), ADF (Automatic document feeder), etc. As soon as the sheets get scanned, the software will read the data marked on the OMR sheets. This software can process a series of answer sheets inconsistency. The OMR sheet reading software ensures 100% accuracy. It is portable to use and can easily be carried from one place to another. The result calculated can be stored in the cloud that can be used further for forefront analysis. It can also capture OMR (Optical mark recognition), OCR (Optical character recognition), ICR (Intelligent character recognition), Barcodes, selected image areas from the forms and logos etc. OMR software has found huge application in various sectors ranging from the education, coaching, recruitment, corporate, survey forms, ballots, etc. The simple and easy to adapt OMR network is gaining popularity as by leaps and bounds in every industrial domain. Next Post:Which type of OMR Sheets can be read by OMR Software?